Despite Zaō's Tantric appearance, Zaō is generally considered of Japanese origin. Antecedents and parallel deities in India, China, and elsewhere are listed above, but they hold no formal connection to Zao in Japan. Literally "Diamond King Avatar." 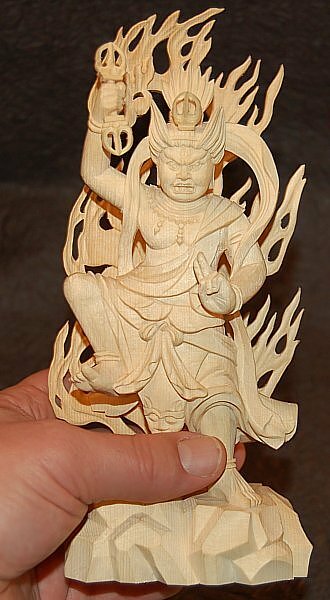 Zao is one of the most important deities of Japan's Shugendō sects, a diverse syncretic mix of mountain ascetic practices, Taoist philosophies, Shinto beliefs, & Esoteric Buddhism. 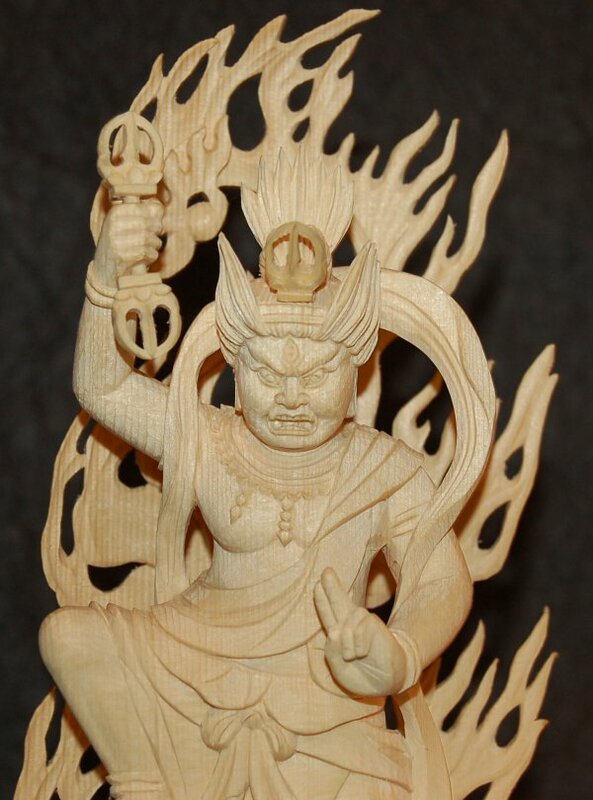 Zao is also the protector deity of sacred Mt. Kimpusen in Nara prefecture, where a 7-meter image of the deity is installed. 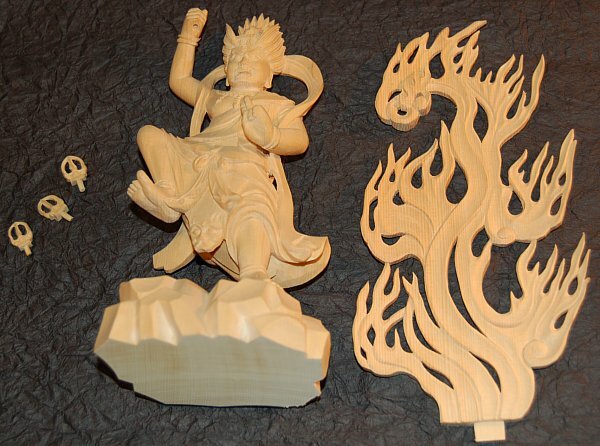 Our statue depicts Zao using traditional Japanese iconography. Zao's hair stands on end, right hand holds a thunderbolt (vajra), left hand near hip forming the sword mudra, grimacing face, three eyes, two arms, right foot raised. There are other variations, but Zao is always characterised by enormous vitality & wrathful appearance, not only to frighten disbelievers but also to symbolize Zao's vanquishing of evil. Details Here.